This week’s reviews include releases from The Company Corvette, Despite, Necromancing The Stone, Svlfvr, Tarja and Zodiac. The ratings are on a 5 star scale. 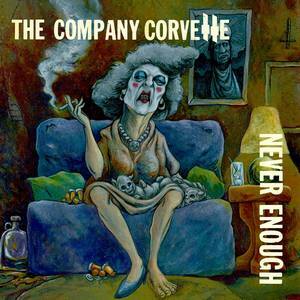 After a five year span since their last album, Philadelphia’s The Company Corvette cruise back on the scene with Never Enough, their third studio release. The songs are jam-packed with Sabbathian riffs and a retro vibe. They blend uptempo stoner sounds with menacing and more moderately paced doom. On tracks like “Burn Out” there’s a ton of groove and lengthy instrumental breaks that keep the energy level high, while songs such as “Stomach” have a more laid back approach. Ross Pritchett’s vocals are sometimes raw and angry, other times more smooth and reserved. They aren’t reinventing the wheel, but the Company Corvette will take you on an enjoyable ride. 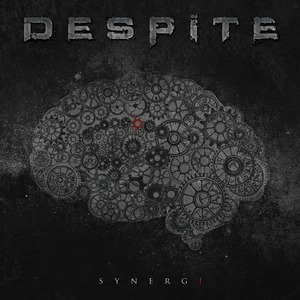 The Swedish band Despite bring plenty of guitar power on their third full-length album Synergi. Their triple axe attack features a trio of eight-stringed guitars. In addition to a wall of drop-E riffs, they deliver the recognizable Swedish melodeath sound with atmosphere and melody. They do a nice job of mixing intense tracks with mostly harsh vocals and more radio-friendly songs like “Time Lapse.” You’ll hear influences of classic Swedish melodic death metal bands, but Despite also infuse their own modern touches into the mix. 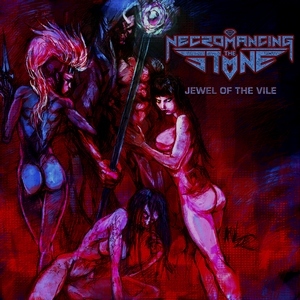 ’80s movie fans will appreciate the references to Romancing The Stone and Jewel Of The Nile in the band name and title of Necromancing The Stone‘s full-length debut Jewel Of The Vile. Metal fans will appreciate the band’s blend of traditional/power metal with more extreme elements. The lineup includes vocalist Big John Williams (Brimstone Coven), guitarists James Malone (Arsis) and Justin Wood (Brimstone Coven), bassist Bart Williams (ex-Black Dahlia Murder) and drummer Jeramie Kling (The Absence). The songs are groovy and catchy with some searing guitar solos (including a guest spot from Jeff Loomis of Arch Enemy) and a compelling lyrical storyline and first-rate performance from Williams. Periodic death metal vocals add a different perspective and additional variety. 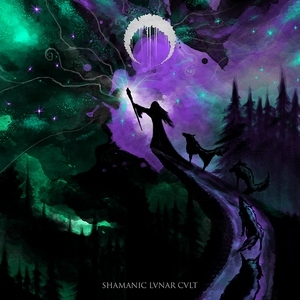 After a 2012 EP, the Italian band Svlfvr underwent some lineup changes, shifted their sound a bit, and the result is Shamanic Lvnar Cvlt. Vocalist Dionysos and guitarist Asmodeus are both in the black metal band Rexor, and those influences are more evident. There’s plenty of classic doom on the album, but a retro vibe is mixed with ominous shades of black metal. While the groove never abates, the vocals are sometimes harsh and extreme, sometimes melodic and trippy. Each of the five tracks is lengthy, with numerous ebbs and flows. The album closer clocks in at nearly 20 minutes, but doesn’t lag until the very end. After last year’s classical album Ave Maria and the recently released The Brightest Void, the versatile and prolific Tarja returns with her latest rock/metal solo album The Shadow Self. Her ethereal soprano is accompanied by symphonic elements, but also heavier parts. That’s evident in tracks like “Demons In You,” which features the growling vocals of Arch Enemy’s Alissa White-Gluz. The orchestral and choral arrangements along with Tarja’s potent voice make it a larger than life release (especially her cover of the Muse song “Supremacy”), but the quality of the songwriting makes it that much more compelling and memorable. 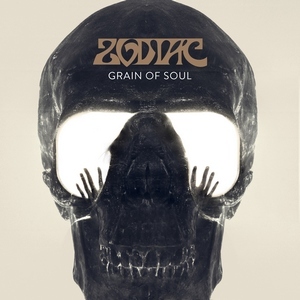 Zodiac hail from Germany, but the songs on their fourth album Grain Of Soul are influenced by a few different regions of America. In addition to the universal sound of hard rock with huge melodies and singalong choruses, Zodiac blend in some Seattle style grunge, a little California desert rock and even some southern rock swagger. No matter what the influences are, the result is an album packed with songs that are interesting, well-played and hold up well upon repeated listens.